Wow what a stunning card!! Love all the great details and the sweet image. 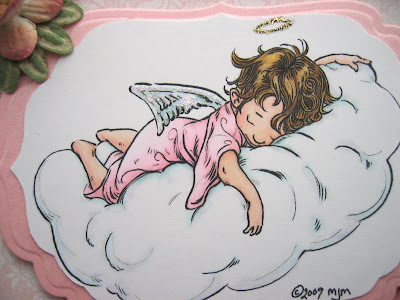 Hi Jenny, your card is so fabulous, I felt in love with this cute image, soI ordered it myself too. Thanks for sharing! Oh WOW this is gorgeous and so beautiful. Oh this is so beautiful! 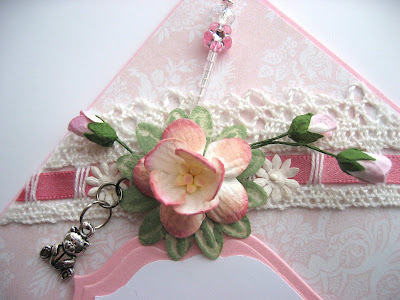 I love the sweet image and all the pretty details, especially the lace and ribbon! This is so so cute! 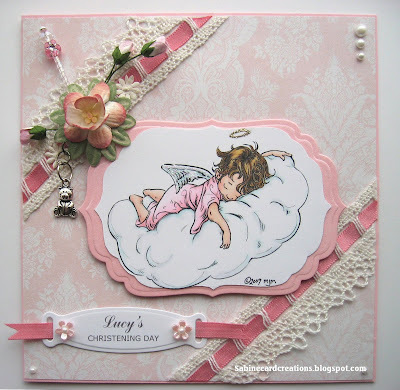 I love the lace and the soft colours!